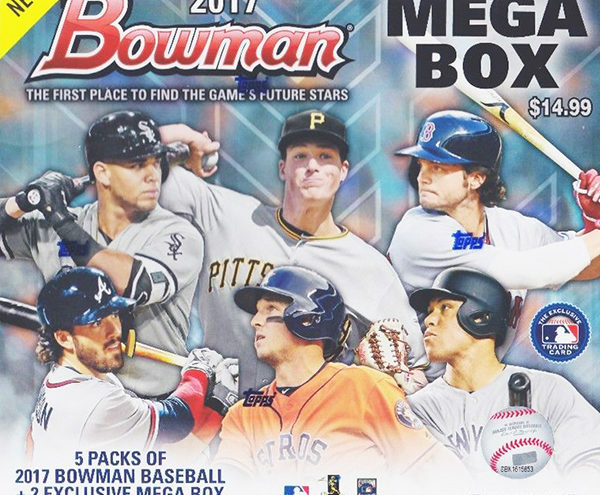 Perhaps the most interesting inclusion in the 2017 Bowman Mega Boxes was a card that was not available in regular release of 2017 Bowman: Shohei Otani. If you are not familiar with Otani, who has been drawing comparisons to Babe Ruth, is a Japanese player who posted a 1.86 ERA along with a 10-4 record, while batting .322 with 22 HR and 67 RBI last season. Not only is the inclusion of Otani in the product a mystery, since he was not included in the regular release, but how he was included in the product, as Topps does not have a license to include him in any products. Topps owns licensing rights for a players on Major League Baseball 40-man rosters and players who were on the roster for the World Baseball Classic. Otani was originally on the Japan roster for the WBC, but was scratched and replaced due to an injury. Shortly after the Mega Boxes started to appear on shelves at Target, collectors started to notice they were becoming increasingly difficult to find. Rumors and speculation have been swirling on message boards that the product was pulled off the shelf by Topps due to the legal issues surrounding Otani being included in the product without licensing. 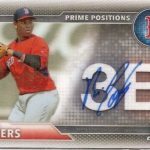 This has resulted in the product being in very short supply, and like with most every other Bowman Chrome product, in very high demand among the collecting community. All of this added with the inclusion of Otani’s first English card has caused a price explosion on the secondary market. Almost a perfect storm for collectors and flippers: Short Supply + High Demand. Based on the odds with in the packs, Topps created around 150,000 packs or 75,000 Mega Boxes using the math that 100 cards in the set, Purple Refractors are numbered to 250 are seeded 1:6 packs (100 x 250 x 6). Rumors have said that Topps is currently sitting on 25,000 to 40,000 boxes in their warehouses. Meaning that we have only seen around 33% to 50% of the product opened, which has helped fuel the short supply perception. SHOHEI OTANI Bowman Chrome Mega Box Refractors ~~Black !!!!! The first BGS 10 Pristine Black Label sold for $1,600 on eBay. While BGS 9.5 and PSA 10 versions are becoming more affordable as more are being listed on eBay, this card has the potential to be a landmark card if and when Otani makes the move to the states and Major League Baseball. Along with the Otani singles, the prices of the sealed boxes have skyrocketed in price. With a MSRP of $14.99, boxes can be found on the secondary market for around $130 each. 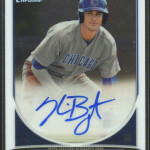 Topps has been relatively quiet on the entire issue or if this product will be released again. In the event that they product is ever re-released, the secondary market prices on this product would definitely tank. Until then, ride the wave.